Our custom sleeved 24 Pin extensions are handmade, using the highest quality materials, and are made to order. Extensions are 12 inches, curved, made from PET Sleeve material. Cables came out perfect, love the colors and rainbow curvature makes it easy to manage and look good. 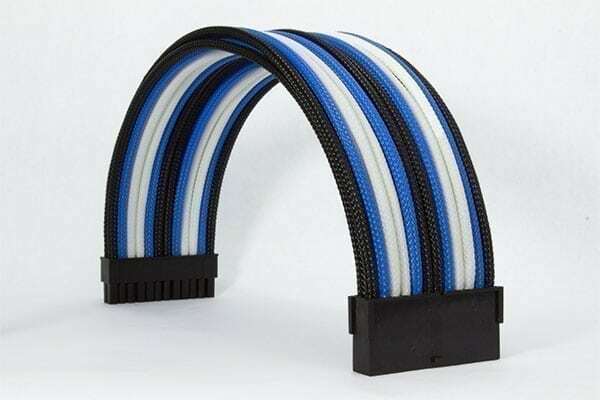 The cable combs they sell fit perfectly. Would recommend. V1Tech makes quality products. 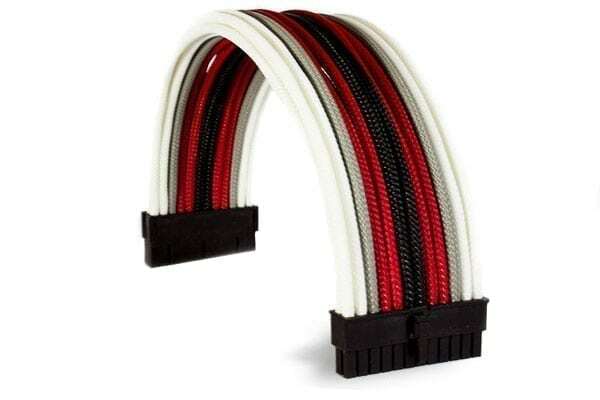 I have received several sets of cable extensions from them, and they were all perfect. Often from other companies when I would plug in cables certain wires would pop out, but I have not had a single issue with the cables from V1Tech, don’t pay more elsewhere for a poor quality product, trust V1Tech.